OSU head coach Chris Holtmann confirmed that news Wednesday morning in a press conference at the Schottenstein Center. Under the existing rules, players are able to declare themselves eligible for the NBA Draft, and can even hire an agent. As long as they continue to follow NCAA guidelines, they will have the option to essentially fire that agent and come back for another year of college basketball. Wesson had an up-and-down second season with the Buckeyes. He averaged 14.6 points and 6.9 rebounds per game, and was frequently the Buckeyes’ best option on the offensive end of the floor. He hit 50 percent of his shots from the field and 34.7 percent from behind the 3-point arc. However, he also missed three games late in the season due to a suspension for violating team rules. Wesson returned for the Big Ten Tournament, scoring 17 points in a win over Indiana. His 21-point effort helped lead the Buckeyes to a first-round win over Iowa State in the NCAA Tournament. If Wesson decides to return, he would have two years of eligibility remaining. Forget about it Kaleb!!! Your head will be spinning in the NBA. It’s filled with athletes, something that you barely are. What world do some of you players live in? He cant even stay out of foul trouble in college. Has no lift off the floor so he will really have trouble getting his shot off, and wouldnt be able to guard anybody. First thing he should do is get in shape. Surprised to hear that; He would be wiser and wealthier if he stayed at least one more year. He needs to decide if he wants to get smaller bucks faster with a shorter playing career or larger bucks later with a lengthier playing career. He’s not going to get small bucks faster, because his evaluation will come back as undrafted. He could go pro overseas, if weed is that important to him. But he’ll get small bucks permanently, not just faster. He will definitely be back. This is just a learning experience so he gets familiar with the process and gets feedback on shortcomings in his game that he can work on. I am pretty sure that Holtmann advised him to do this. You don’t get feedback on your game, you get an evaluation of where you might be drafted. In no way did holtmann advise him to do this. And you definitely don’t go through the process for learning experience. His feedback will be undrafted, there are so many more good players out there that won’t be drafted either. The only thing that you said that makes sense is that he’ll definitely be back. I was wondering if this might happen. 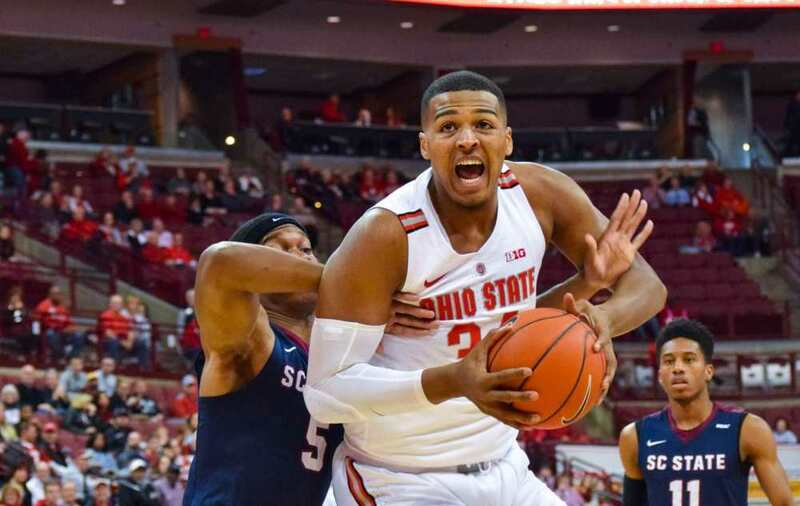 I wish Kaleb Wesson well with whatever decision he makes, but from my non-expert observations, he would be very well-served to return to Ohio State for one more year at least. One of the hallmarks of success is not only talent and skill, but also consistency. Anyone with ability can look real good from time to time. But can you do it each and every time (or most of the time)? Kaleb definitely hasn’t shown that yet. I think of Buckeye standouts like Deshaun Thomas, Dequan Cook and others who opted to leave early for “the next level,” but failed to make a mark in the NBA. They might have been able to continue their careers overseas, but is that what a top (or high potential) player is really shooting for? Could another year of collegiate seasoning helped? 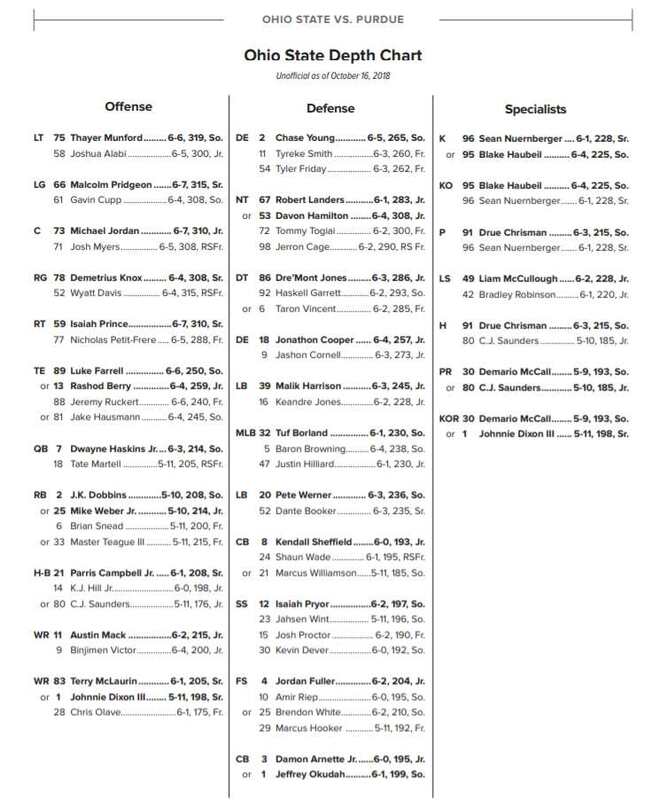 I for one hope Kaleb sees the wisdom of returning to play with the Buckeyes for at least another year. no doubt he needs (at least) another year. he has talent, but among other things, he needs consistency, better BB IQ (fouls), much better fitness, and further develop outside game. hope for his sake this is just a “check it out” deal, as i cant seriously think he’s ready.